The Weight Watcher: Dukan Diet: What's the verdict? The British Nutrition Foundation has given its verdict on the famous Dukan diet. Dr Elisabeth Weichselbaum of the British Nutrition Foundation suggests that cutting out a whole food group from your diet - in this case, starch and carbohydrates - is never a good idea. She explains: "If you restrict yourself for a week, you may not really risk your health, but for a longer period of time you will miss out on important nutrients." Instead, she suggests that the best way of losing weight is through continued eating of a balanced diet... sensibly! She adds that high-protein diets do lead to weight loss. She advises that cutting out carbohydrates for a short period to kick-start a diet is acceptable. "But in the long term, if you have anything that's too restrictive you will risk your health." Diets that are higher in carbohydrates and lower in protein are "generally associated with lower risk", Dr Weichselbaum says. "High-protein" can mean "high-fat", she points out, if people eat fatty meats. And if "high-protein" means "low-fibre", constipation is very likely to be the result. 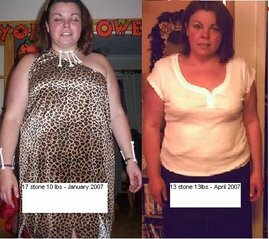 Check out the four case histories to see what other types of side effects of Dukan you can expect.